THE FRIENDS – We go to the fair with the same family of five every year, and this was our 11th year to go together. 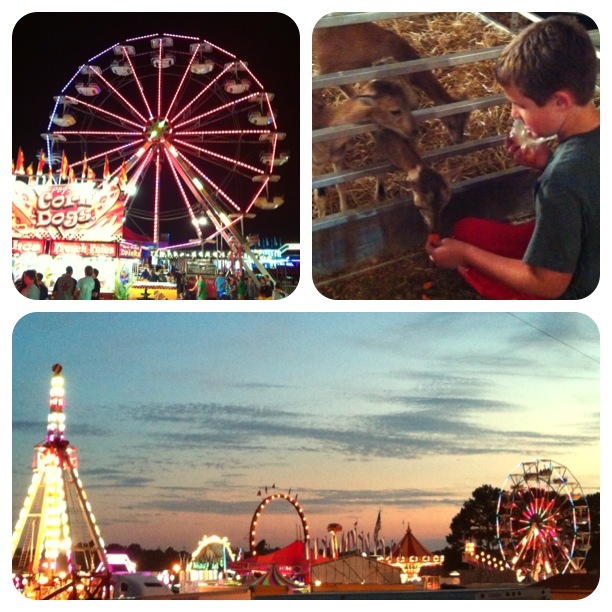 They were a part of a historic event in my life…my very first county fair! I milked and brushed a cow for the first time in my life…it was epic. 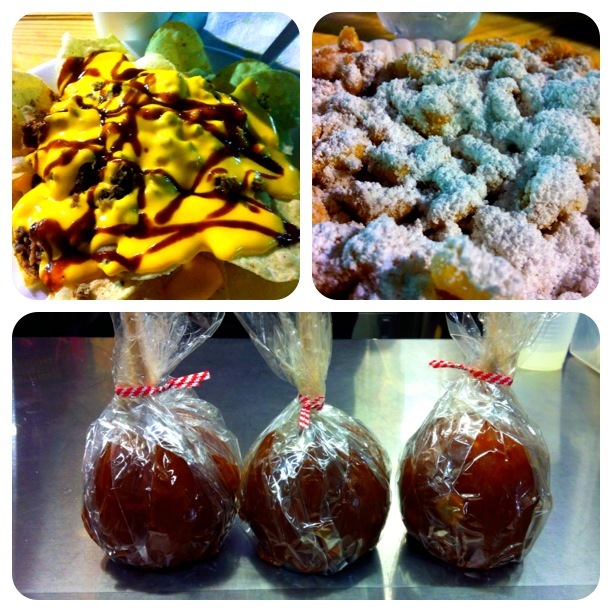 THE FOOD – Corn dogs, funnel cakes, and caramel apples. ‘Nuff said. THE PETTING ZOO – I love seeing, petting, and feeding the animals, especially the babies. Missing this year was the enormous cow you can brush and the freshly-hatched baby chicks, but we had a camel for the first time. I guess I’ll settle for a camel. THE FERRIS WHEEL – My absolute favorite ride because you get a bird’s eye view of the fair and the town. :) Love me some ferris wheel. THE MIDWAY AFTER DARK – Although the games are rigged and the rides (and operators) are sketchy, I love the lights and sounds of the midway, especially after the sun sets. As you may have read in previous posts, I have been salivating for fair food, so I saved all my splurge calories for fair night. I really had my heart set on eating a corn dog, but we got to the fair and saw BBQ nachos advertised. Yes, please! That’s what I ended up ordering for dinner, followed by a funnel cake later in the evening. I ordered my caramel apple “to-go” and ate it Saturday afternoon. Pure. Heaven. Every Sunday morning we pass by the fair grounds on our way to church. We are always excited to see the fair being set up, and always sad to see it being taken down. My boys are already asking how long it will be until it’s fair-time again. I think one final reason I love fair-time is that it means fall is right around the corner. I’m so ready for cool weather, pumpkins, and fall foliage. Thank you, Lord, for a memorable night at the fair and for the hint of fall in the air. Amen. Goodnight, friends!